I don’t know about you but we’ve been having a fun time decorating for the Christmas Season. 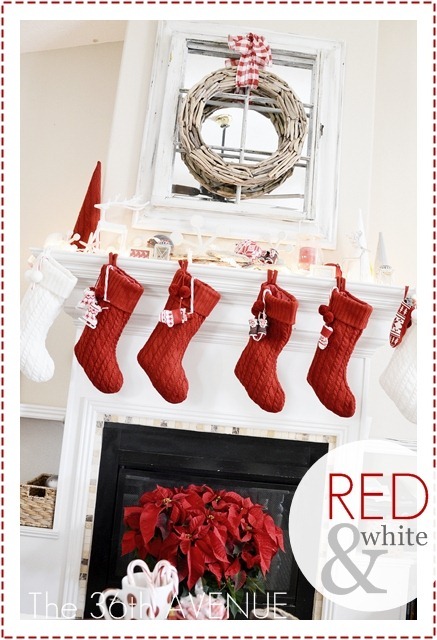 Let me show you our white and red Family Room. The focal point of this room is the mantel and the fireplace area. I started with this untraditional wreath that I found over at Home Goods. I love the natural and organic feeling of it and the fact that I could use all year long. I think it works perfectly in this space. The rest of the accessories came from Target. 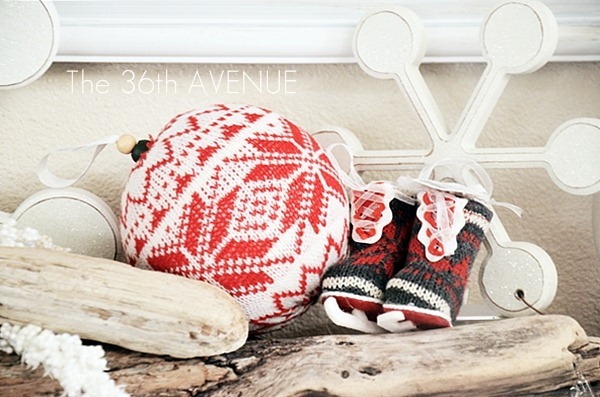 Most of them are ornaments that I used to bring texture and pops of color. in the beautiful shores of the North West. 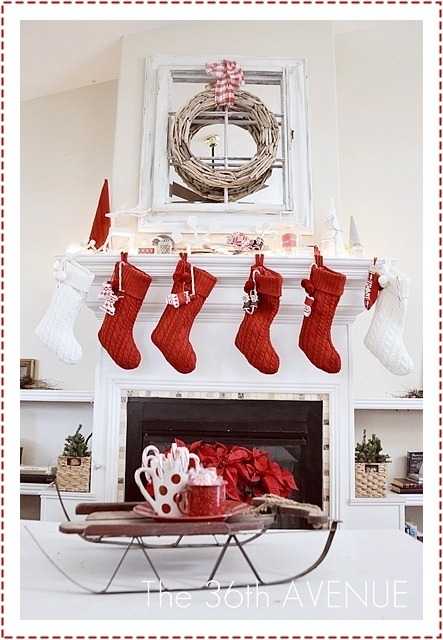 I kept all the stocking in classic white and red colors. This way I can use them year after year even if I change the decor. 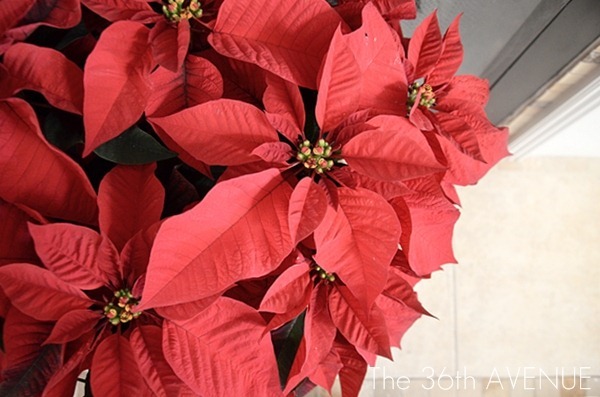 on Thanksgiving with this gorgeous Poinsettia. 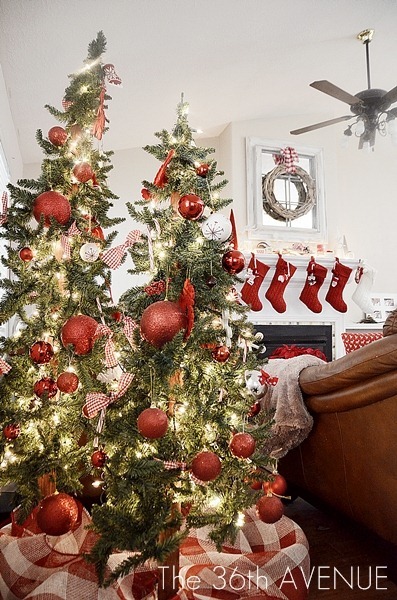 It was the perfect size and vibrant red to give the fireplace some needed love. 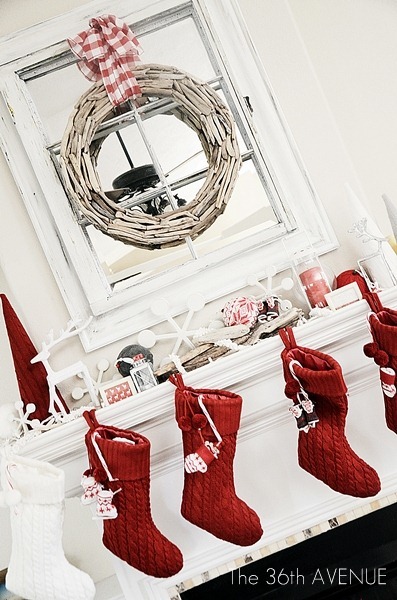 Simple, fresh and cozy… exactly what I pictured before. As a center piece for the table I used as a tray an old sled that I have had for years. It is rusty, rustic and in my eyes simply perfect. 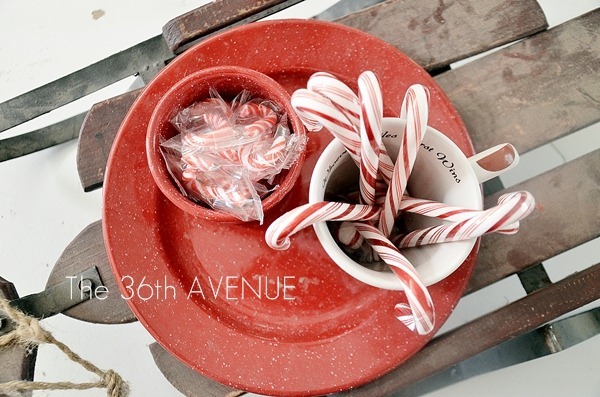 I used some old cups to hold yummy Christmas Candy Canes. Since you can see the trees in the background let me go there. The Tale of Three Trees. our Christmas Trees… Take a look! Right by the Christmas Trees there is a sofa table that I decorate every season. This year I found over at my Thrift Store this cute metal Christmas Tree for just $2. OK, it used to be brown but a little spray paint did the trick. The snow flakes are actually table confetti that I found at Wal-Mart for just $1.50. 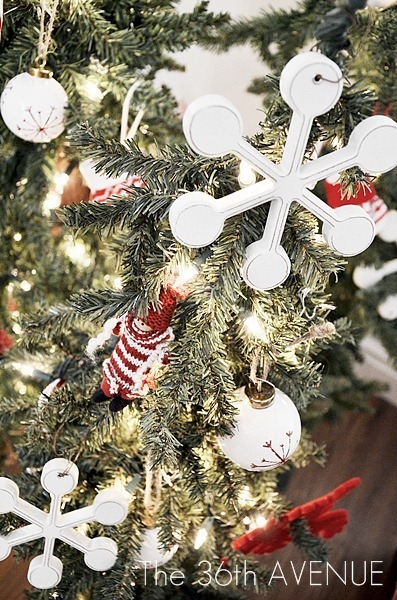 An easy and affordable way to decorate miniature Christmas trees! 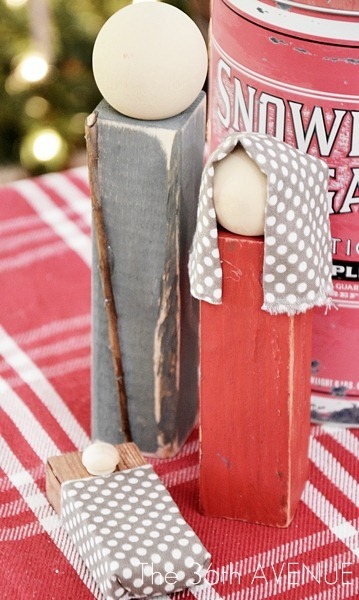 I always like to make this table kid friendly so this year I made a wood nativity for the kiddos. You can click HERE to see the step by step tutorial. My Mimi loves to play with it all day long! Let me see… what else am I missing? I wish I could take credit for this cuteness but I actually bought it at Target. so this DIY believer went shopping! Now something that I made was the pillows. 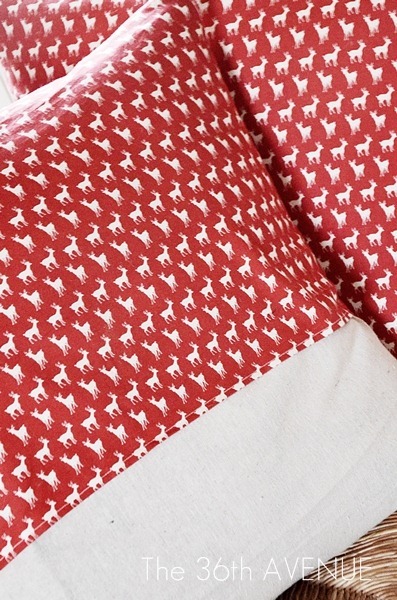 I love the reindeer fabric… so cute! And I think with that I finished the tour of our Christmas ready Family Room. I’ll be showing you our dining room and entry soon. The outside lights are next for us! 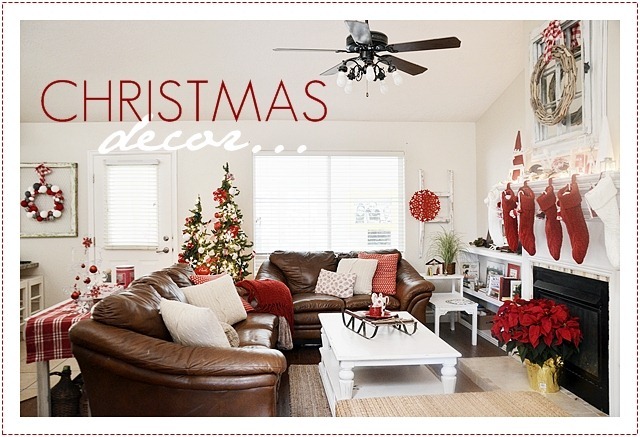 Ok, so this is a random comment, but I love your ceiling fan in the picture…..where did you get it? You always inspire me,,,and make me drool when you hare your rooms! 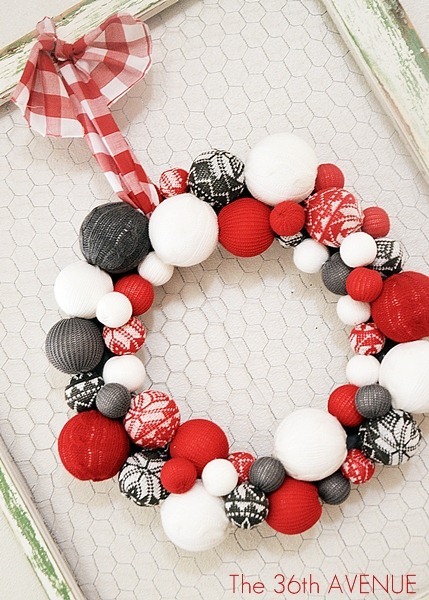 That wreath on the chicken wire frame is freakin great! 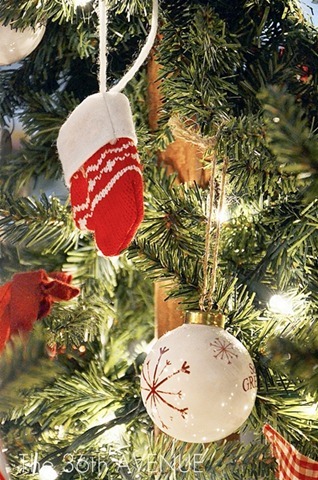 Hope all is well with you and you are enjoying the holiday season. Thank you Kim! Have a wonderful week! Desiree, your decor is beautiful!!! 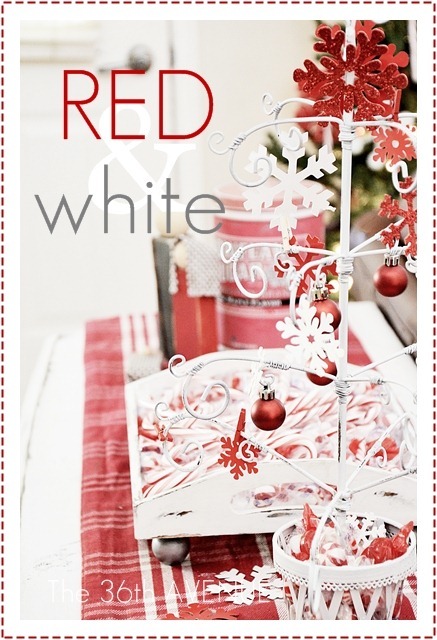 I love all the red and when it’s paired with the white, it’s so happy and bright. 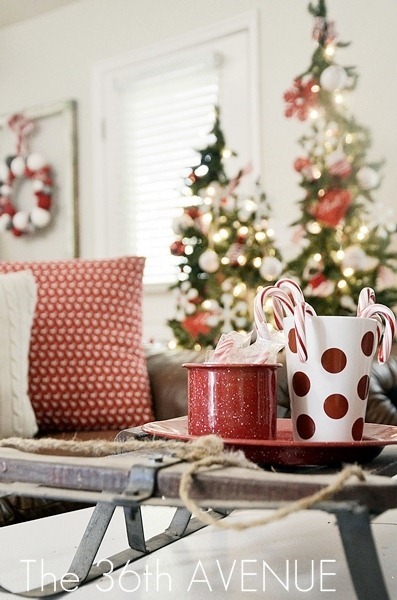 The sled on the table is precious and I LOVE the two tree idea. Love it. I mean three trees. Come on, Allie, read. 🙂 I didn’t see that tiny one. Super cute. I’ll have to check out the story. Aww… you are so sweet. Thank you Jennifer! It’s beautiful! Me encanta! Tienes una casa ideal, gracias por compartirla con nosotros. Besos! Muchas gracias Ali. Besos preciosa! I am loving that sleigh! 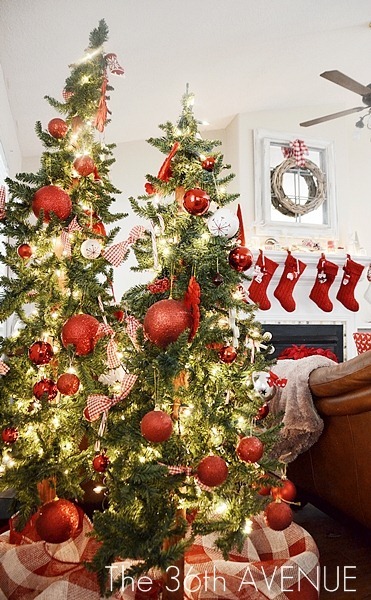 And the wreaths, and the trees…oh I love it all! Beautiful!! This is so gorgeous! I don’t know where to look first! I love it so much, a beautiful room for a beautiful family! Oh Melissa you are adorable. Thank youso much for visiting and leaving me such a sweet comment! It is just lovely. Makes one want to walk right in with a cup of hot chocolate..